Can Used Race Parts See New Life? 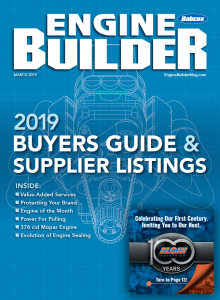 For the better part of 30 years, Brendan Baker has been involved in the automotive aftermarket and racing industry in some capacity, including the last 11 years at Engine Builder magazine. 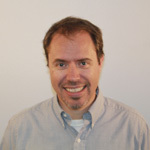 Brendan’s aftermarket career started in high school working for an auto parts store in Akron, Ohio. He has worked many areas of the aftermarket from counterman to technician and earned his certification as a racing mechanic in 1989. He has worked for several racing schools and teams at various levels, including being an owner/driver of his own semi-professional racing team for several years. Brendan studied Journalism and Computer Science at Kent State University and lives in Akron, Ohio with his wife Lori and dog Kylie. In his free time he enjoys riding his motorcycle and racing go-karts. Even engine builders with years of experience have valve failure at some point, but knowing what caused the failure is the difference between a builder who will learn from the mistake and figure out the solution versus one who will continue to make the same mistake time and time again. Valve failures can be an expensive and time-consuming situation, especially if you have to eat the cost. It’s ugly and painful when it happens, but diagnosing why and how it happened can lead to a better understanding of your craft. Valve-related failures are often due to factors such as detonation, poor quality or defective parts, over-revving the engine, or not setting or maintaining proper valve lash. These can contribute to or even cause valve failures, but so can sloppy machining tolerances. In many cases, the failure is due to an installer issue. Was the engine leaned out too much? Where was the timing set? How hot did it get? Did the engine show any other signs that it was about to drop a valve? The most common valve failures are bent or broken valves due to contact with the piston or another object in its path. 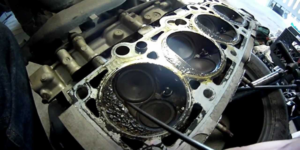 A burnt valve is another type of failure that happens when things go wrong in the valvetrain. Exhaust valves can burn because they run hotter than the intake valves by as much as 450 degrees F. The intake valves run cooler because the air and fuel sucked into the engine before the compression stroke cools them down. The exhaust side of the valvetrain runs hotter and isn’t cooled much as combustion gases exiting through the exhaust ports blast the valves. The head of the valve where it is connects to the stem is another weak point that can break, as well as the machined keeper groove area. If the valve breaks, bits and pieces can be ingested into the combustion chamber and destroy the top of the piston as well as the cylinder head. If you’re lucky, you may be able to salvage the head by welding and reshaping it. But that’s if you’re lucky. The head of the valve where it connects to the stem is another weak point that can break, as well as the machined keeper groove area. 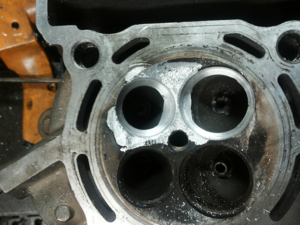 If the valve breaks, bits and pieces can be ingested into the combustion chamber and destroy the top of the piston as well as the cylinder head. Fatigue from the valve flexing due to being off-center on the seat can also cause failure. Pounding from excessive valve lash, stretching due to high heat or rpm, or temperature changes from being shut off suddenly under high load or wide-open throttle, can all cause breakage. The tip of the valve stem can break as a result of side load due to the installed stem height not being correct and the rocker arm not being centered. It can also be caused by excessive valve lash that slams the valve down hard as it closes. Another condition that may cause the stem tip to break off is a worn keeper groove or valve spring coil bind from running a cam or rocker combination with too much lift. A leaking valve can cause a significant power drop due to the loss of compression. It doesn’t matter if the compression leak is because the valve is bent, worn, eroded or cracked, or if the valve face or seat are not concentric or are out-of-round, the result is still the same. Deposits can build up on the valve face and seat and create an insulating effect that keeps the valve from cooling properly and, in turn, makes the valve run hot. Valve stems can wear from having too much sideways thrust due to stem-to-guide clearance being out of spec and allowing the valve to move laterally, which can cause the valve head to flex when it closes against the seat. Over time, the constant flexing can lead to metal fatigue, cracking and valve failure. Valve-related failures are often due to factors such as detonation, poor quality or defective parts, over-revving the engine, or not setting or maintaining proper valve lash. These can contribute to or even cause valve failures, but so can sloppy machining tolerances. The concentricity of the valve seat concerning the valve guide and valve is critical for proper alignment and a tight valve seal. Engine builders should make sure the valve-and-seat machine can hold tight tolerances (.0002˝ at the pilot). An old machine with too much slop won’t be able to seal the valves in today’s engines. The seat cutter should also be sharp enough to produce a high-quality finish on the seat. If you’re getting chatter while cutting a seat, the problem may be too much play between the pilot and valve guide, the cutter speed, or the machine may need to be leveled. Using a coolant when cutting hard seats helps reduce chatter. One way manufacturers prevent valve heads from getting too hot and breaking is to use sodium filled or hollow stem valves. These types of valves are lightweight and made of steel but have the stems gun-drilled and micro-polished, they are about 20-25% lighter than a solid stem valve and less expensive than titanium. Some hollow stem valves are filled with sodium to help absorb heat from the valve head. The sodium transfers heat through the valve guide reducing the amount of heat transferred through the seat. On a solid valve, the majority of the cooling happens from transferring heat through the valve seat and only about a quarter of the cooling goes through the stem. In a sodium filled valve, approximately 40 percent of the cooling is through the stem so the valve can tolerate more heat. For stock engine builds, valves can be reconditioned if they are inspected carefully and reground to specs. In these types of stock builds, either a knurled guide or new guides may need to be installed to restore the valve stem to guide tolerances. Engine builders who are building more aggressive engines for racing should look at other types of materials such as a stainless steel 21-N or better. In high-revving, high-torque engines, the valves must withstand the side loading from a high lift cam and use the right seats for the combination of rpm and spring pressure. Titanium or hollow-stem valves are commonly used to lighten the valve train in performance applications. Valve seat concentricity and valve guide clearance will play a significant role in how well the valve seals and transfers heat. About 40 percent of the heat from the valve is conducted out through the valve guide. If clearance goes up by much, the conductivity from the stem to the guide decreases dramatically, transferring all the heat to the guide. Some engine builders recommend using bronze guides because they conduct heat away more effectively from the water jacket. The surface area of the guide is around four times the area of the valve stem, so conducting heat into four times the area of the guide will cut the temperature of the valve dramatically. Titanium valves tend to run hotter than stainless steel valves, so it is a good idea to upgrade the valve seat material to copper alloy. Copper provides excellent thermal conductivity and pulls more heat out of the valve when it closes. Stock production engines typically use a stainless steel alloy for replacement valves. Stock valves are constructed from various percentages of material to achieve a low or high alloy intake valve. Exhaust valves are constructed of a stronger alloy to withstand the higher temperatures. Most quality aftermarket valves today can be used in both stock replacement and mild performance applications since they are constructed for better durability. Engines that use nitrous oxide, turbochargers or superchargers may need an alloy such as Inconel 751 or Nimonic 80A to handle even higher temps. Inconel alloys contain as much as 16% chromium and 3.0% titanium to handle higher temperatures. 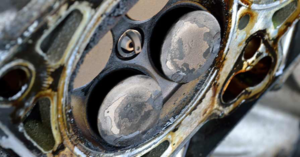 Valve failures are often the result of detonation, poor quality or defective valves, a driver who’s zinged the engine, improper valve lash, or sloppy machining. Valve seat concentricity is critical for proper alignment and a tight compression seal. Your tooling must be able to hold tight tolerances because any slop will allow the valve to move around and wear around the stem and at the head as it moves up and down. If there’s any chatter while cutting a seat, it may be from too much play between the pilot and valve guide, the cutter speed, or the machine is out of level. Using a coolant when cutting hard seats will help reduce chatter. Premature valve failure can be caused by anything that reduces cooling or creates extra heat in the valve or head. Deposits can build up on the valve face and seat and create an insulating effect that keeps the valve from cooling properly and, in turn, makes the valve run hot. This isn’t just on you – your engine installer and his customer can do their part to prevent valve failures as well by maintaining a clean, efficient cooling system so the engine does not run too hot. Recommend the use of good quality fuel to help prevent carbon build up on the valve seats. Be sure that the valve clearances are checked regularly and set according to your specs, especially in racing and performance applications.